Price changes for selective market classes for October 2015 versus October 2014. Courtesy of Manheim. Wholesale used vehicle prices (on a mix-, mileage- and seasonally adjusted basis) increased for the fifth consecutive month in October. 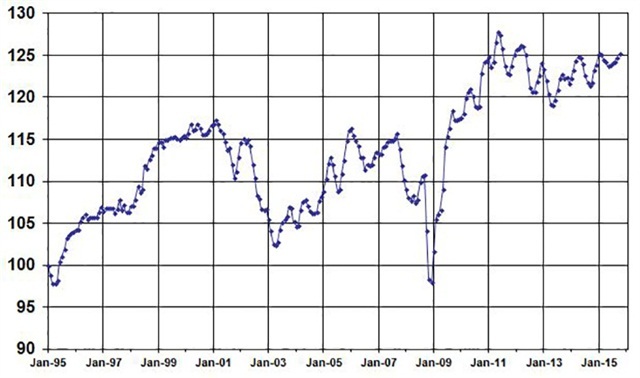 This brought the Manheim Used Vehicle Value Index to a reading of 125.3, exactly where it started the year and up 2.9% from last October. 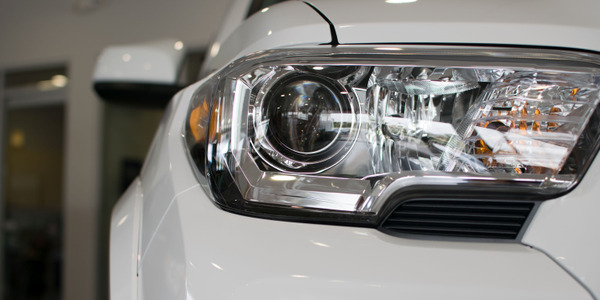 Continued strength in wholesale pricing is reflective of higher new vehicle transaction prices and a rewarding retail used vehicle environment. Higher wholesale prices, narrower gross margins, and record dealership profits are evidence that the benefits of increased dealership efficiency are being passed to consumers and enabling dealers to bid up prices in the wholesale market, according to Manheim. In October, auction prices for rental risk units (adjusted for mileage and mix) showed a normal seasonal decline but were up 0.7% from a year ago, says Manheim. There was a smaller monthly decline in the straight average of rental risk pricing than in mix-adjusted series since pickups, crossovers and vans accounted for a greater share of off-rental volume in October than in September. 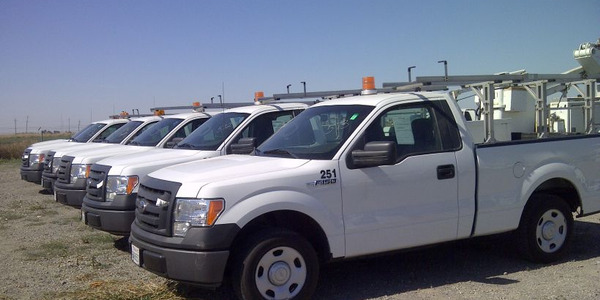 Last month, auction volumes for rental risk units were down significantly from last October, since last year’s normal August and September de-fleeting was pushed into October — due to several recalls that impacted many units in the rental fleet. 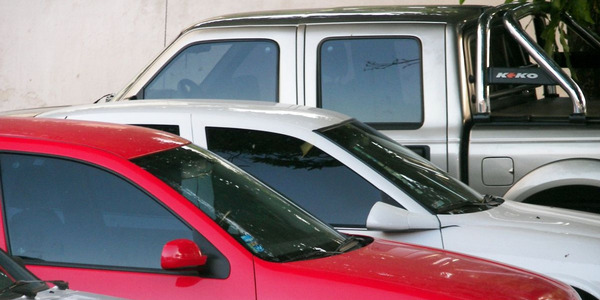 Compact cars remain the weakest segment, both in recent months and over the past year. 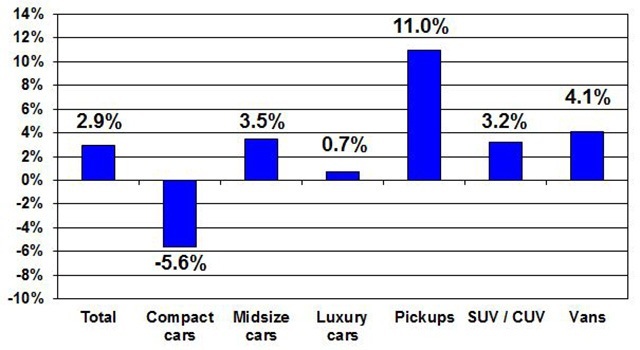 Although wholesale pricing for luxury cars has been soft during the past year, October was relatively good. But don’t expect that trend to continue given the influx of off-lease luxury units that will come in November and December, according to Manheim. Prices and volume are not expected to plummet in 2019, but industry experts seem to feel that the best-case scenario will be a plateau, and more realistically, will fall slightly. The passenger car segment was a main contributor to the the rise in used-vehicle prices in 2018. 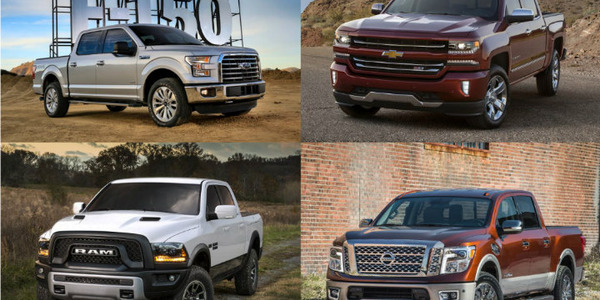 Sales of vehicles to commercial fleets from eight manufactures increased 8.8% to 743,210 in 2018, even with a weaker December, on the strength of sales of trucks, SUVs, and vans that accounted for nearly nine units out of every 10 sold. The average 12-month depreciation through the end of November for all vehicles was 12.5%. In November, sales of vehicles to commercial fleets increased 18.2% to 60,967, while sales into daily rental increased 6.4% to 122,433. Sales to government agencies increased 4.6% to 20,386. 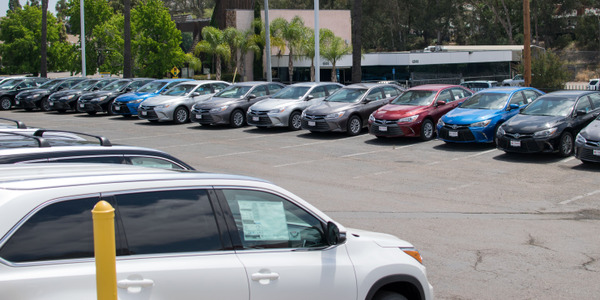 The average price for used fleet vehicles fell 2% at auction in October, but remained 6.1% higher than a year ago amid a strong month for wholesale prices, according to Tom Kontos, KAR Auction Services' chief economist. 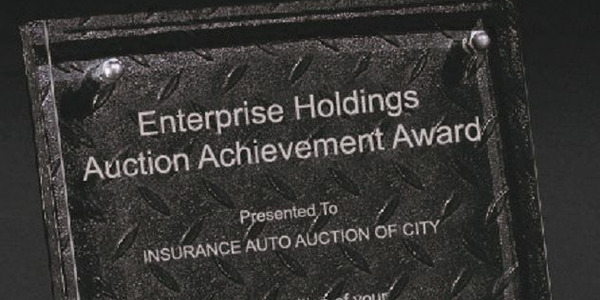 A significant part of the automotive value chain, Enterprise’s operations result in over 1 million used vehicles that become available for sale every year. 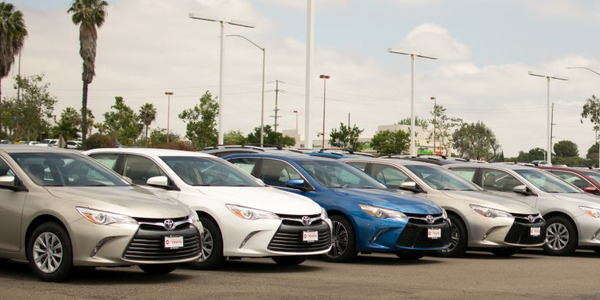 Vehicles from fleet consignors followed the broader used-vehicle market downward in September, as wholesale prices struggled to keep up with last year's hurricane-driven demand and a now robust upstream market, said Tom Kontos, KAR Auction Services' chief economist. 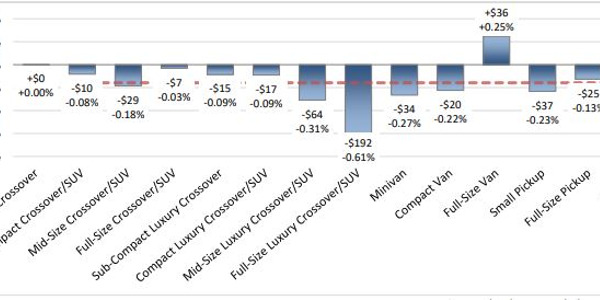 While luxury vehicles continue to struggle, overall vehicle values held steady last week, according to Black Book’s Oct. 8 Market Insights report. Edmunds is forecasting 1,392,434 new vehicles sales through September, representing a 5.4% decline from March and an 8.3% decline from the same time last year.